For the ardent pursuer of the path of righteousness, self-less service and meditation are the gateways to the infinite love of the Divine Guru or Master. It is well established that a disciple cannot walk on the path of spirituality without the Master’s grace; but, it is equally true that right efforts and intentions in the form of steady devotion, service and unflinching patience are needed to collect the pouring grace. Complete self-surrender is the only way to spiritual illumination. This surrender comes when the disciple burns in the sacred fire by offering oblations in the form of selfless service and meditation. Self-less work is Love in Action, it is doing good to the world in the spirit of worship and thus pave the path for one’s own salvation. To enrich and strengthen the strong bond of Master- Disciple relationship, Divya Jyoti Jagrati Sansthan conducts monthly congregations at various branches across nation. Such a congregation was held in Amravati on 20th May 2018. His Holiness Ashutosh Maharaj Ji has created Divya Jyoti Jagrati Sansthan as the reservoir of awakened souls working selflessly to usher into a world wherein every individual becomes an embodiment of truth, wisdom, and justice through the Vedic spiritual science of self-realization 'Brahm Gyan', uprooting in its wake all social evils and threats. Holy sermon imparted on monthly basis provide solution to all the queries of devotees, a peaceful retreat for wandering minds, nectar for the parched hearts. 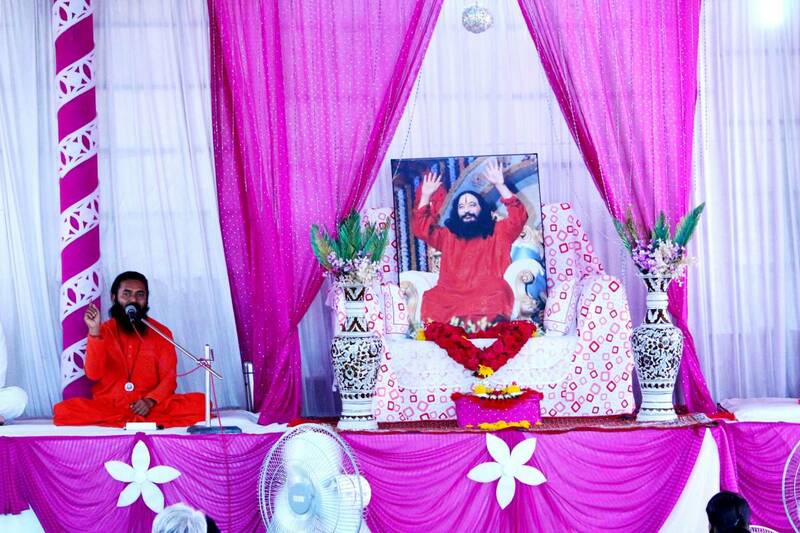 People and devotees gathered from towns nearby gained in-depth wisdom and motivation through the program. Soul-touching, mesmerizing musical melodies enriched with the pearls of devotion and love for the Guru sprung up new light and hope within all hearts. Preachers shared their invaluable experiences and divine visions and guidance by our Perfect Spiritual Master. They explained that despite our numerous mistakes, distractions and blunders; our compassionate Master never leaves us and is always remains with each and every soul. He keeps giving us more than what is deserved by us for the sake of pure love. He silently listens to our each and every though and guides us through every breath. It proved to be yet another love-drenched, soul-transforming and gifted day in the life of disciples. Disciples left the event venue with the empowering zeal ready to confront the challenges in the way of bringing change and hearts reverberating with salutations at the lotus feet of His Holiness.